(May 12, 2015, Sointula, BC) A 24-page booklet released today by Pacific Coast Wild Salmon Society provides an overview of the serious negative environmental and economic implications of open-net salmon farms on Canada's west and east coasts. Salmon Confidential: the ugly truth about Canada’s open-net salmon farms makes the case that the wild-salmon-focused economy of British Columbia far outweighs the contributions of salmon farms. The wild-salmon-related economy contributes twice the number of jobs and four times the total wages paid out. An electronic version can be found at: www.alexandramorton.ca/salmon-confidential-booklet. Funded entirely by donations, the booklet has been sent to all federal Members of Parliament and the provincial representatives in British Columbia, Newfoundland and Labrador, Prince Edward Island, Nova Scotia and New Brunswick. The booklet is a concise review of the issues (sea lice, impacts on lobster fishery, challenges to bio-security, salmon viruses, jobs and the local economy, exotic species) related to open-net pen salmon farming, while exploring the benefits of the onshore closed containment alternative. The booklet is an evolution of the award-winning documentary Salmon Confidential (produced by Twyla Roscovich) which has over 1.5 million views online, in addition to over 70 international screenings. 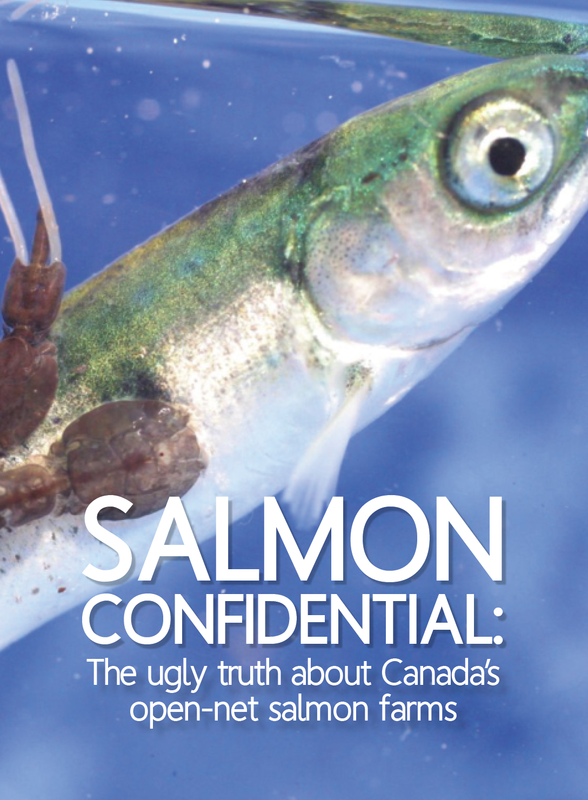 Salmon Confidential author, Alexandra Morton, describes the booklet’s content as, "A summation of the knowledge gained about the dangers of open-net salmon farms being allowed to locate on the migration routes of wild salmon." She went on to say, "This is hard-won information, gained over twenty-plus years, based on field and lab work, expert witness testimony at the Cohen Commission, appearing on CBS’ 60 Minutes, testimony at the Senate Committee on Fisheries and Oceans, and countless meetings with stakeholders (sports fishermen, politicians, tourist operators, former fish farm workers, commercial fishermen and First Nations leaders and community members) whose interests and opinions on open-net salmon farms vary greatly." While focused on Canada's west coast, the booklet is equally useful for readers in Atlantic Canada and other countries where the open-net pen salmon industry is operating or seeking to expand into. Greg Kourtoff at 416-972-7404 or gkourtoff@ecostrategy.ca.